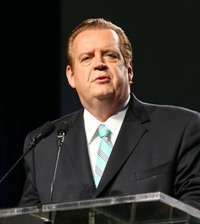 ERLC head Dr. Richard Land knows better than you how you should live your life. In a totally unsurprising move, the Ethics and Religious Liberty Commission of the Southern Baptist Convention has written an open letter to Sen. Jon Kyl (R-AZ), asking him to reconsider his sponsorship of the Reid-Kyl online gambling bill during the current Congressional lame-duck session. They’ve also CC’d House Majority Leader Mitch McConnell, but them other danged heathen Dimcrass leaders — Harry “Satan’s Child” Reid and Nancy Mephistopelosi — didn’t seem to be on the mailing list for this one. The bill, which still has yet to be introduced (and might not), is already encountering significant headwinds from state- and lottery-based groups, despite the fact that this bill, dubbed UIGEA II, is about as anti-gambling as a supposed pro-gambling bill gets. We write today to express our opposition to your efforts in Congress to pass legislation legalizing Internet poker gambling. As we begin the final month of the 112th Congress, we are particularly concerned that your bill has yet to be introduced, thereby severely limiting the amount of time the American people will have to read and study the impact of your bill. In fact, it seems that the only organizations that have received a draft copy of your bill are those groups within the gambling community. This raises red flags. Additionally, we oppose your efforts to establish a federal legal framework for Internet gambling. Not only would your bill legalize Internet gambling on poker, but it would serve as a launching pad for the expansion of Internet gambling in the future. We also oppose any efforts that weaken the Unlawful Internet Gambling Enforcement Act (UIGEA). UIGEA places actionable restrictions against Internet gambling. Legalizing betting on Internet poker—or any other segment of online gambling activity—would only plunge individuals and families into more economic and regional hardship. No amount of regulation or taxation could make such legalization a winning proposition for America. We know all too well the destructive power of online gambling. It is ruinous not only to those who engage in the practice but also to their families and society as a whole. With its addictive lure, Internet gambling often leads to broken marriages, child neglect, and depleted finances, among other devastating consequences. The Southern Baptist Ethics & Religious Liberty Commission steadfastly opposes your efforts. Poker is a form of gambling. We cannot support any effort that grants government sanction to any form of gambling. Your bill not only does that but also creates a regulatory mechanism that is certain to be used to introduce other forms of Internet gambling in the future. We urge you to drop your support for this bill. Ahh, where to start. While the stuff about the bill not receiving proper vetting has some merit, I’m pretty sure that the ERLC somehow managed to overlook writing a similar notice of protest back when the UIGEA was tucked inside a port-security bill back in 2006, and not only didn’t get scrutinized by lawmakers, it didn’t even receive a full reading. Hypocrite much? But of course, the whole thing is really just an “evils of gambling” screed. It’s all tired, and we’ve heard it all before, though they seem to have omitted the Black Death, AIDS and annihilation from space meteors as other ills we can blame on gambling. While it won’t be argued here that gambling doesn’t bring some societal evils along with it, the whole point of living in a free society is supposed to be to be able to choose for one’s self how to live that life. Recognizing those freedoms has never been a strength for Southern Baptists. That’s the big problem with the ERLC, and why this author has no use for them or their ilk. The only “religious liberty” they seek is the liberty to inflict their lifestyle and viewpoints unto others, and make those others act in accordance with their own desires and beliefs. Just like this letter, that’s the exact opposite of religious liberty. The truth is, the letter really matters little to Reid-Kyl’s prospects. The only reason it even exists at all is generate a few headlines and show the faithful flocks that they’re in there, making some noise, the better to keep those Sunday contributions flowing.